Brahmaputra River | Me, in Me. Brahmaputra river is the one that today we are going to see in the North East of India. This river is not only considered sacred by Indians but also has very interesting facts behind its origin and history. As you may know, almost all the natural resources like rivers in India has a female name. But this is one river that has a male name. Yes, Brahmaputra – meaning Son of Brahma. The Brahmaputra river is a trans-boundary river, crossing boundaries of several countries. 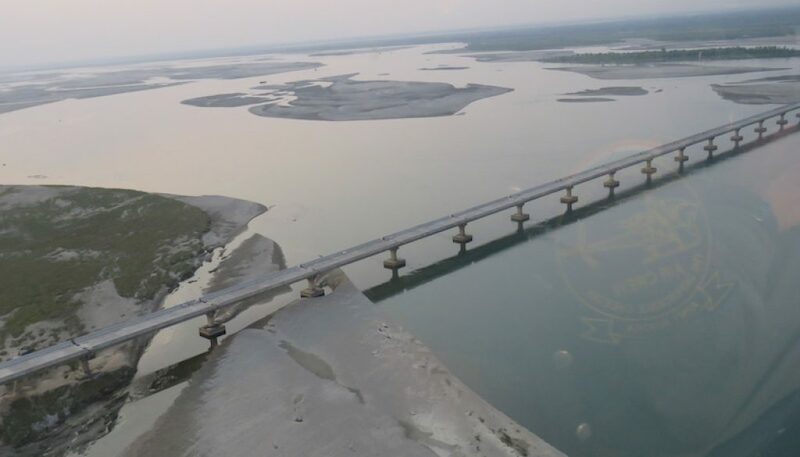 The origin of this river is actually in Tibet – called as the Manasarovar lake – it reaches Assam, where it becomes the Brahmaputra river, after passing through Arunachal Pradesh. From Assam, it further flows down through Bangladesh and finally meets the Bay of Bengal. The entire length of the journey it takes before reaching the Bay of Bengal is little less than 3000 KMs. Legend says how the river came into existence. As per legend, Brahma – the creator of the Universe, visited Mount Gandhamadana. It was here where he was attracted towards Amogha, the lovely wife of Sage Shantanu. Amogha turned down him away and so Brahma left the place leaving his signs in the place. When Sage Shantanu returned he understood what happened. He felt that a new life from Brahma and his wife could mean a great contribution to this universe. He convinced his wife, and with his divine power, he made a miraculous conception to his wife with the signs left over from Brahma. Amogha finally birthed a boy with features resembling Brahma. He was named Brahmakunda and placed between the four mountains – Kailash, Gandhamadana, Jarudhi, and Sambwarttaka. With the passage of time, this water body grew into a lake as big as the sea. He was Brahma’s son or Putra of Brahma. The Brahmaputra river is considered sacred by Hindus. Even today, on the day of Makar Sankranti, 100 thousands of people gather in the Parasuram Kund near the Tezu town in Arunachal Pradesh. People visit here to clean their sins following the tradition established by Lord Parasuram himself. My theme for the April 2019 #AtoZChallenge is blogging about the rivers, mostly from India. Let me see if I can make it through all alphabets. You can find all my #AtoZChallenge posts here. Interested to know my next destination starting with letter C? Try commenting your guess, let’s see. Kudos to you for choosing this theme. Through your posts, I’m getting to learn geography, a subject I loathed in school. This is a fascinating story, MJ. Till you mentioned it, I had never realised that the Brahmaputra is the only river with a male name. Loving your theme. Wow! You are sharing some wonderful facts. Nice reading about it. Loved the details about the Brahmaputra river. I vaguely remember reading this in a book called Rivers of India. I am trying to locate that book for my kid and seems to be out of print and not in sight at all. But now, I can show your blog to my son. Have experienced the only male river of India in Guwahati and was spellbound with its length and depth.